150 students of Grade II to X of MRIS Charmwood participated in Diwali Online MathChallenge 2018. The challenge was conducted at National Level. During this online Math competition, schools across the country competed with each other for a 12-day period. Students worked on the assigned online tasks, challenges, puzzles recommended as per their age and topics covered in their curriculum. Sarthak Jain of Grade-VI bagged the Gold Medal by earning 478 medal points. 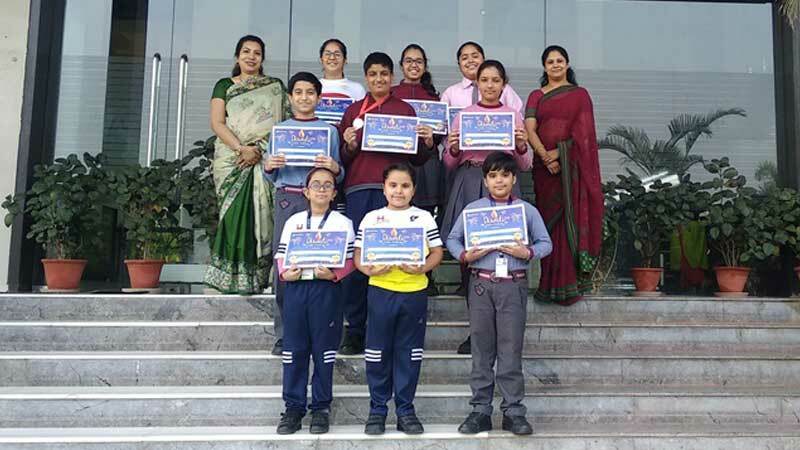 The list of winners include- Shreya Bhowmick (G – III), Shrina Bhalla (G – IV), Lalit Kumar (G – IV), Arshi Garg (G – VII), Shaurya Singhal (G – VII), Shashvita Jain (G – VIII), Saanvi Gulati (G – IX), Priyal Kapoor (G – X), and Ishika Arora (G – X).